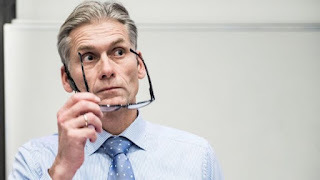 Mr Borgen said it was clear Danske had failed to live up to its responsibilities, which he regretted. "Even though the investigation conducted by the external law firm concludes that I have lived up to my legal obligations, I believe that it is best for all parties that I resign," he said. The bank said it was unable to determine how much money was believed to have been laundered through its Estonian branch between 2007 and 2015. Shares in Danske fell 7% in Copenhagen following Mr Borgen's resignation and a lowering of its outlook for the full year. Estonia's Financial Supervision Authority (FSA) said it was now examining the findings of Danske's internal investigation. "The report describes serious shortcomings in the organisation of Danske Bank, where risk-appetite and risk control were not in balance," said the Estonian FSA's chairman, Kilvar Kessler. The watchdog and Denmark's financial supervision authority will now consider taking action.